Who cares about having to manage your finances as a scholar when your tuition fees will be paid for and you will be provided with a monthly allowance, right? Wrong. We explore living expenses for international students in popular study destinations, and tell you why it makes good sense to get a handle on your finances. The prestige and the security of a good job placement make a scholarship a glamorous package that is hard to refuse – this package is made even more attractive when combined with the fact that hefty tuition and miscellaneous fees are entirely taken care of. Most scholarship awards empower students to pursue a university education overseas, appealing to many because it calls to mind a rich, once-in-a-lifetime experience. Scholars are taken off the financial hook substantially because their tuition and accommodation fees are accounted for and they are provided a monthly living allowance. And if you want to be a scholar, it is important for you to examine how best to utilise your additional financial support wisely. After all, a scholarship allowance can whittle away in short order if you do not take care to manage your finances – and this is hardly the way to impress your future employer. Generally, living expenses for international students are largely dependent on their study destination, the more popular ones being the US, UK and Australia. Living expenses in the UK vary from city to city – studying in a university in London is relatively costlier than studying in other cities. In an average month, you can end up spending roughly between £450 and £850 (anywhere between S$900 and S$1800) on expenses including rent, food, laundry and internet and phone bills. In comparison, living expenses for international students in the US total up to approximately US$800 to US$1,000 (about S$1,000 to S$1,300) per month. 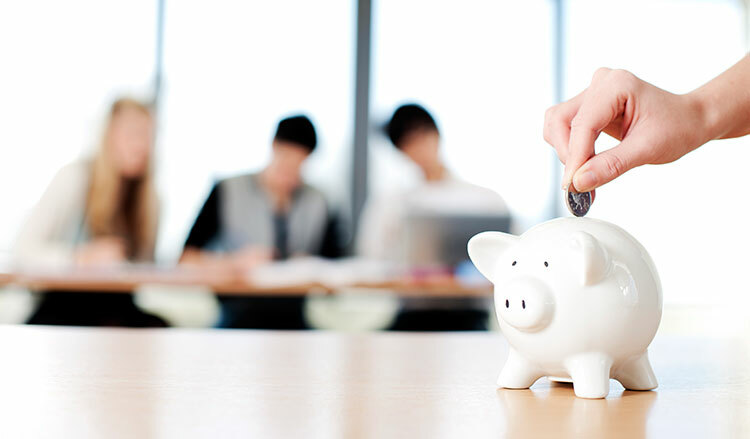 Insurance policies for international students are mandatory in the US, generally costing between US$40 and US$90 (about S$50 to S$120) monthly. On the other hand, living expenses for international students in Australia add up to slightly more than AU$1,150 (about S$1,280) each month. All in all, the living expenses for international students can easily add up to about S$15,000 each year. A monthly scholarship allowance is thus a considerable load taken off your shoulders. But as previously mentioned, as a scholar you can rack up debts if you are not fastidious and careful with your spending. It is easy to rest on your laurels and spend each dollar as it comes, but it becomes a poor showing of your personal aptitude if all you do with your allowance is spend. Even if you already have quite a bit of financial freedom to begin with, you still have a fundamental responsibility to preserve your assets. A scholarship allowance, although tremendously helpful, can only go so far and it naturally does not include money for expenses like short trips during semester breaks. You can also work various part-time jobs to supplement your finances, which may include waiting tables, working as a teaching assistant, doing research work for professors and embarking on paid summer internships. Apart from the financial remuneration, doing part-time work can teach you skills relevant to the working world, such as time-management and discipline. Furthermore, engaging in part-time work adds shine to your resume and puts you in a good light in the eyes of your future employer, in addition to equipping you with the necessary focus to make the best out of your study hours.